Frenetic action cameras whip you along to an unsatisfactory conclusion. The unstable region of Baghdad following March 19, 2003 is the subject of Green Zone, the new Iraq military drama which has an action movie pulse and the presence of stalwart Matt Damon, playing Chief Warrant Officer Roy Miller who is a man of sweat and non-stopping motion. Following the initial military strikes of Iraq of the invasion date, Miller’s team is unable to find any weapons of mass destruction (WMD) on mission searches. This quickly prompts skepticism in Miller’s perspective on Pentagon intelligence. This stuff, while we can predict the means, is compelling. But coincidences ultimately overrun the last act. Paul Greengrass (“The Bourne Ultimatum”) directs with the charge of an action thriller. But when you take out all the noise, it is more of a drama of a military squad at work (conducting routine field work and trying not to kill). And of course, the idea of defiance is a dramatic element. 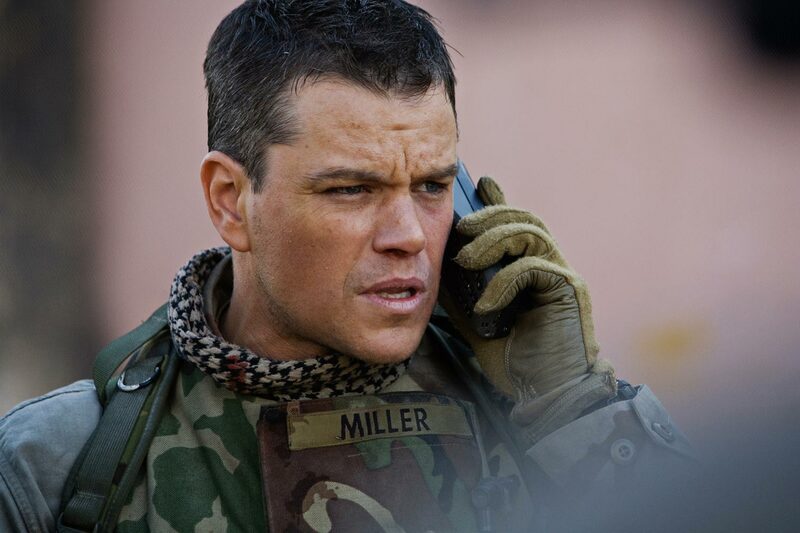 Miller stops listening to the brass and begins consulting with CIA man Martin Brown (Brendan Gleeson) and enlists a born Iraqi who calls himself Freddy (Khalid Abdalla) to guide him on his own expeditions of the truth. Other than a television clip of the real George W. on CNN, most of the characters are composites of numerous individuals. The most clear-cut wormy official is Greg Kinnear as Clark Poundstone, who is a Defense Intelligence specialist who also does the backwards job of manipulating American public opinion. Amy Ryan is the Wall Street Journalist who is deemed responsible for inaccurate press feedings to American media. Out to find the definitive truth is Miller, whom at first tracks down various leads through Baghdad for the search of WMD’s and then figuring out no matter where he looks he gets nowhere. He goes on the hunt for one of Saddam Hussein’s men who is referred to as “the Jack of Clubs.” What doesn’t make sense if Miller’s over-reliance on Freddy, who can barely get around on his prosthetic leg yet seems to be there every time Miller needs him. 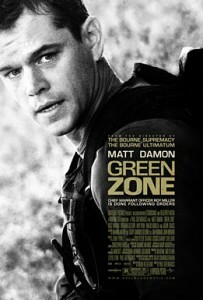 As for Hollywood movies putting together a mainstream simplified idea of what went wrong in the early days of Iraq — as starvation and destitution ravaged the people and government anarchy wreaked vast — “Green Zone” is not entirely reliable but it paints a broad overview picture on the subject. The end chase sequence, as excitingly staged as it is and captured by endless multiple angles by Greengrass, becomes dramatically unacceptable – it is simplification and contrivance met at one intersection. Lest be reminded that this is a mainstream entertainment that goes for easy pay-offs. Greengrass’ frenzied, fast-cutting isn’t for all audience digestive systems, but if you enjoy the Bourne’s series immediate-to-the-max urgency, then this film might draw you in. But you might develop a contempt for composites and convenient plot structures. Film Cousins: “Jarhead” (2005); “Home of the Brave” (2006); “W.” (2007); “The Hurt Locker” (2009).